It’s been one of the breakout hit London plays of the past few months. And this morning, it was announced that the Donmar Warehouse‘s production of Sweat, Lynn Nottage’s Pulitzer Prize-winning play about a poverty-stricken community in forgotten America, will play a limited 6-week run in the West End this summer. Directed by Lynette Linton, the new Artistic Director of the Bush Theatre, Sweat has received critical acclaim during its run at the Donmar – acclaim to be richly awarded when the show transfers to the Gielgud Theatre from Friday 7 June until Saturday 20 July. The critically acclaimed show Sweat will continue its run at the Donmar Warehouse until February 2 due to exceptional audience demand. Sweat is based on Nottage’s experience of living in Reading, Pennsylvania – officially one of the poorest cities in the USA – for 2 years. There, she discovered a city full of passion, but suffering from the collapse of industry – and with racial tensions and anger mounting, she penned her play based on the shocking ramifications for the community. 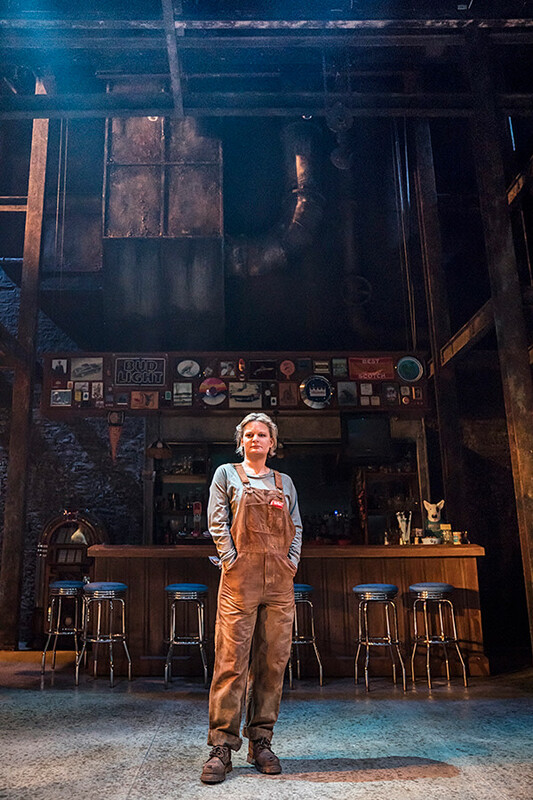 The show is set in an all-American bar, and centres on factory workers and local residents.